For many broadcasters, augmented reality and monitor control continue to be top of mind, making up an important piece of the visual puzzle. For local stations, specifically, augmented reality represents a key way to differentiate, especially for weather and sports coverage. As one of our 5 Trends to Watch at NAB, we noted the technological barriers to entry continue to fall, including cost and training. Others are continuing to explore virtual studios, like Scripps, which allow smaller stations to spread their dollar further with multiple venues without the traditional costs associated with a set. 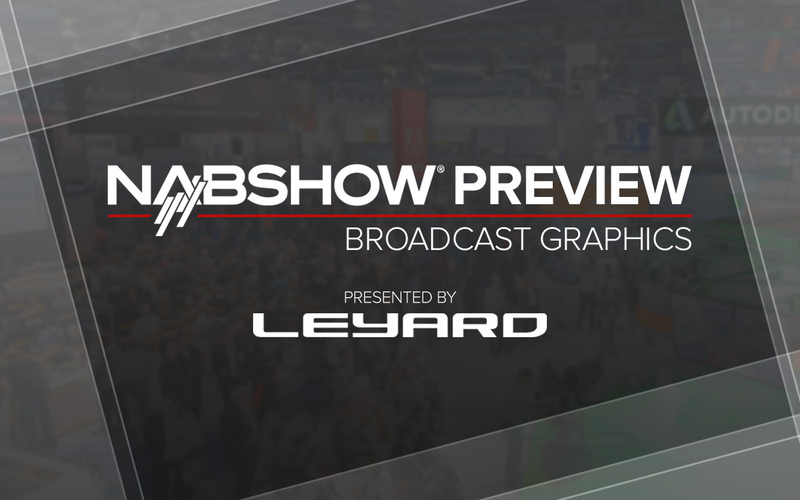 With that in mind, here are a few graphic solutions providers to visit during the NAB Show, ranging from tilting and playout to motion graphics design. Following its annual Avid Connect event, Avid will showcase the latest updates to its graphic playout solutions, monitor control systems and AR/VR systems. Along with new switchers and servers, Ross will showcase its XPression Graphics solution and Frontier Virtual Set System, built using the Unreal Game Engine. Along with showing system updates, wTVision will debut ChannelMaker-in-the-Cloud, a fully hosted cloud playout system, during NAB.